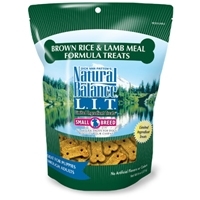 Natural Balance LIT Brown Rice & Lamb Meal Treat 12/8 oz. What are L.I.T. Limited Ingredient Treats™ Natural Balance® L.I.T. Limited Ingredient Treats™ are treats designed for dogs with sensitivities to common ingredients. 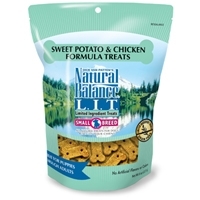 Natural Balance LIT Swet Potato & Chicken Treats 12/8 oz. 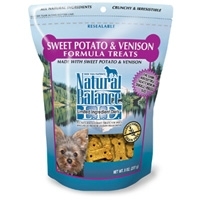 Natural Balance Limited Ingredient Diets Venison & Sweet Potato Small Breed Treats 12/8 oz. Natural Balance® L.I.D. 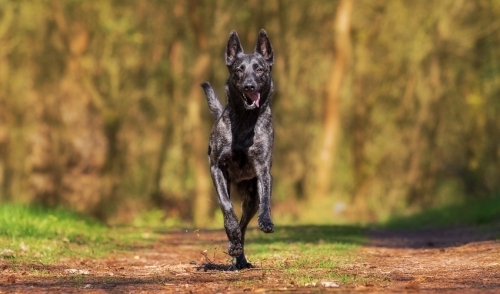 Limited Ingredient Diets™ Venison & Sweet Potato Treats is a proven formula for dogs with allergies based on our unique blend of a premium protein and carbohydrate not commonly found in dog foods. 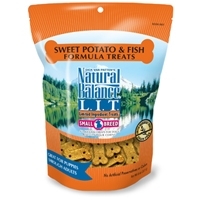 Natural Balance Limited Ingredient Diets Fish & Sweet Potato Small Breed Treats 12/8 oz. Our new Natural Balance® Sweet Potato & Fish Formula Treats are a proven formula for dogs with allergies based on our unique blend of a premium protein source not commonly found in dog foods. Natural Balance Limited Ingredient Diets Duck & Potato Small Breed Treats 12/8 oz. Our new Natural Balance® Potato & Duck Treats are a proven formula for dogs with allergies based on our unique protein and carbohydrate blend. 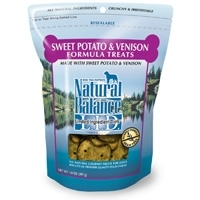 Natural Balance Limited Ingredient Diets Venison & Sweet Potato Treats 12/14 oz. Natural Balance Training Tips Turkey & Vegetable 6 oz. 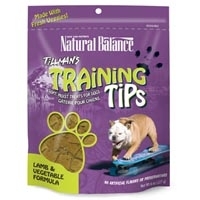 Natural Balance created Tillman's Treats for active dogs that need a great tasting and healthy snack. These treats are available in four great formulas like Turkey & Vegetable Formula. 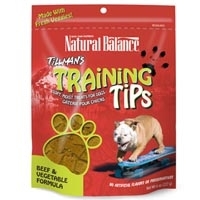 Natural Balance Training Tips Beef & Vegetable 6 oz. Natural Balance specially created Tillman's Treats for dogs like our incredibly active skateboarding dog, Tillman. They are available in four healthy formulas like Beef and Vegetable, and are made with fresh vegetables and savory meats that are a perfect little snack for your dog. 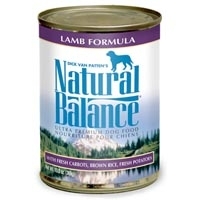 Natural Balance Training Tips Lamb & Vegetable 6 oz. 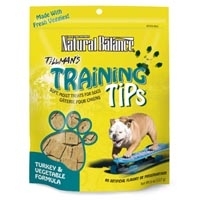 Natural Balance created Tillman's Treats for active dogs that need a great tasting and healthy snack. These treats are available in four great formulas like Lamb & Vegetable Formula. Natural Balance LID Lamb & Brown Rice Canned 12/13 oz. 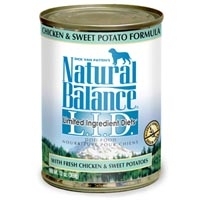 Natural Balance Limited Ingredient Diets Chicken & Sweet Potato Canned Dog Food 12/13 oz. 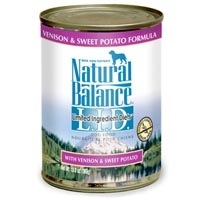 Natural Balance Limited Ingredient Diets Venison & Sweet Potato Canned Dog Food 12/13 oz. 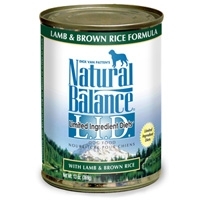 Natural Balance Lamb & Rice Can Dog Formula 12/13 oz. Natural Balance Limited Ingredient Diets Fish & Sweet Potato Canned Dog Food 12/13 oz. 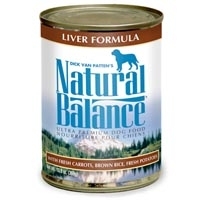 Natural Balance Liver & Rice Can Dog Formula 12/13 oz.